Adventure holidays, safaris and tours in Uganda , Biking, Golf Safaris. Are you looking for active adventure holidays in Uganda or Rwanda? East Africa has some of the best countries of adventure holidays? Explore the diverse terrains of Uganda and Rwanda either by road on Foot or by bike and see the diverse beauty that these countries have to Offer. Are you looking to hike the Congo Nile Trail, hike to the Magherita peak or do a little bit of mountain biking through the Virunga volcanoes? Do you have plans of hiking Mt Elgon-the mountains with the largest Caldera or even Sabyinyo the Volcano with a shape of an old mans’ tooth. Do you want to hike an active Volcano.? AA Safaris and Tours will organize an active adventure holiday for you. Below are some of the activities and sample itineraries that you can undertake during your visit of Eastern Africa. Mountain Rwenzori is the highest mountain in Uganda, standing at 5,109 meters above Sea Level on Mount Stanley’s Magherita Peak. Unlike other mountains east Africa, Rwenzori Mountain is a not a volcanic mountain but rather a block of Rock that upfaulted through the floor of the western Rift Valley. The Rwenzori’s where first placed on the Global map by Henry Stanley in the year 1888, however before that, they had been christened the name “Mountains of the Moon” Stanley Named them the “Ruwenzori” a local term meaning “Rain-Maker “ or “Cloud-king”. The Rwenzori’s lie in the western along the Uganda- DR.Congo boarder with one of its’ equatorial snow peaks being the third highest point in Africa. The slopes of the Rwenzori are rich in biodiversity with moorland, bamboo, Giant lobelias, and huge trees, wildlife and plenty of birds including 19 Rift Valley endemics. Trips for as long as 12 days or minimum days being 9 will allow you to reach Magherita Peak. Therefore, reaching the highest point in Uganda. However, shorter hikes are available to other peaks like the Wieseman’s peak and many more. Mt Elgon Hike/ Abseiling Sipi Falls Nature walk. Presumed to have erupted 24millions years ago, Mt Elgon is one of Uganda’s Oldest Physical features. AT one point in time, this old volcano was Africa’s highest mountain Higher than Kilimanjaro’s current 5,895m. Presumed to have the oldest volcanic base in the world, it stands at a height of 4,000 metres above seas level. In Uganda the slopes of Mt Elgon are protected by the Gishu tribe and Sabinyi tribe. Gishu also known as the BaMasaba believe that their founding father Masaba is embodied in Mt Elgon. Therefore the Name Bamasaba. Like most Volcanic Mountains, the hike or trek along the mountain does not necessary target the Peak of 4,321 meters but the biodiversity that the hot plains ad higher altitudes bring. For Mt Elgon it is also the 40km squared Caldera. One of the largest and oldest. Below are some of the sample Mt Elgon Adventure trips that you can take on. Are you looking to let your hair down and cruise, bike or ride through the different plains of Uganda. 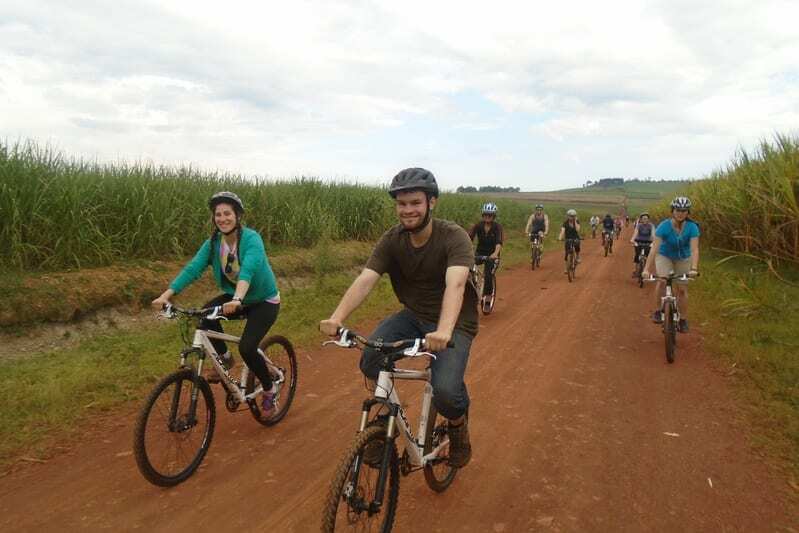 Well AA safaris and tours offers biking safaris that take you to bike in the wilderness, and also bike in urban communities and finally to also bike as you give back to the communities to include women, orphans and the disadvantaged communities. You can opt to cycle through urban centers, and along the river Nile, or in Lake Mburo National park. 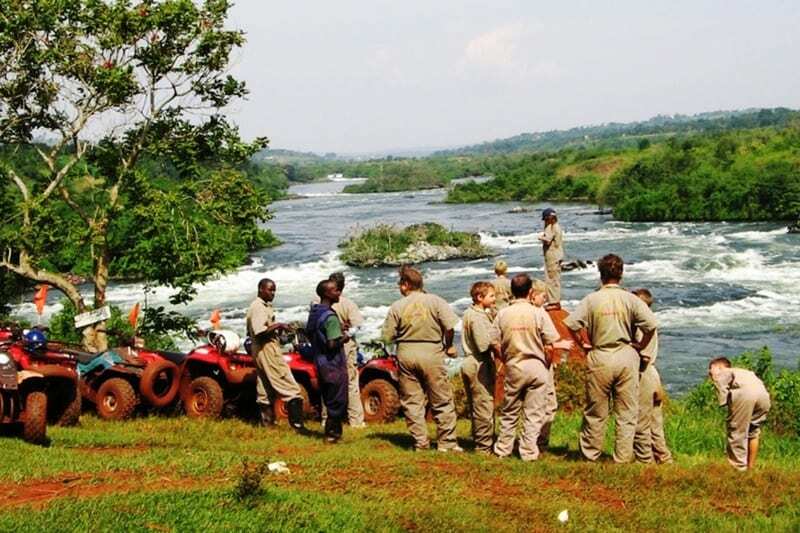 Or you can quad bike along the Mighty Nile to ride through the foot-steps of the earlier explorers. Below are some of the sample biking safaris and trips you can take on in Uganda. Horse rides in Uganda can be done at Speke resort Munyonyo. Furthermore this horse rides are possible in Jinja and Lake Mburo National park. Rides can be organized from 1 hour to as many hours as possible. Rides can be organized along the Nile giving you splendid views of the Nile. Among the most common adventures on the might Nile in Uganda is Rafting. Rafting on the Nile is fun and safe. Rafting has a number of options, a half day, full day and two days trip can be organised. There are a number of rafting companies, equipped with the machinery and skills for your experience. The Other activity would be Kayaking and bungee jumping. Our golf safaris, take you to explore some of the best golf courses in Uganda. We take you to play golf, in Kihihi near Bwindi Impenetrable forest. Alternatively near the shores of lake Victoria or near the source of the nile. 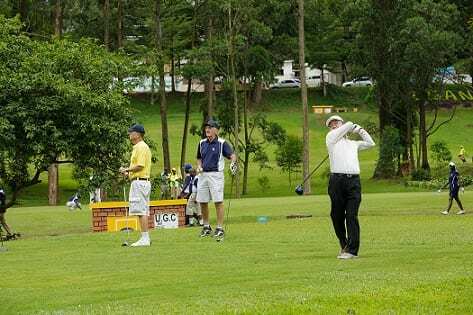 Jin some of the country golf tournaments in addition of the gorilla safaris, or wildlife tours that you do.